Tugboat Annie’s Pub is located on the Fraser River in Richmond, near the Alex Fraser Bridge. It serves casual pub-style food. It’s nice to go for a walk along the river after eating. 6911 Graybar Road, Richmond, B.C. Canada. 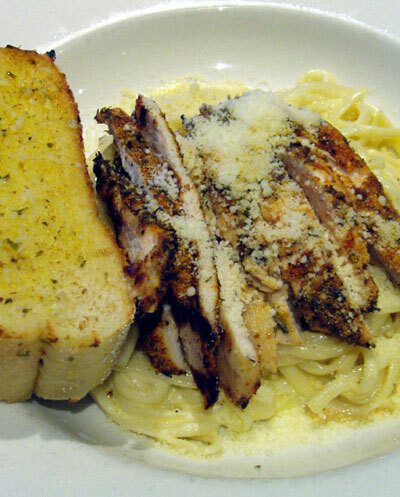 Chicken fettucini with garlic bread, topped with parmesan cheese. One of my favorite Japanese restaurants in Burnaby. 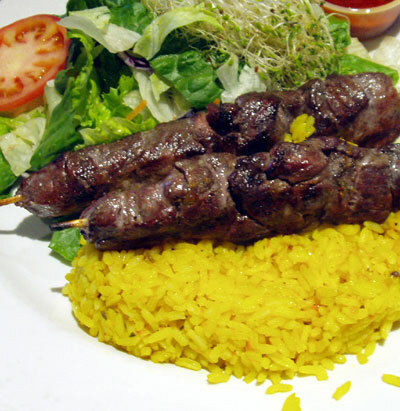 Reasonable prices, generous portions, excellent quality. 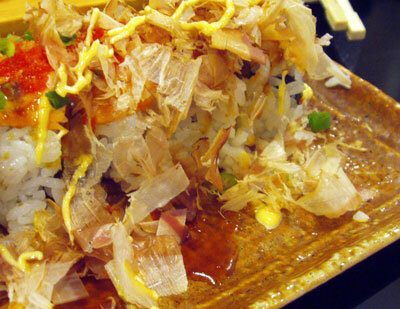 The “Awesome Roll” is a colorful explosion of basically a California Roll, topped with masago, miso flakes, and Japanese mayo. Highly recommended. 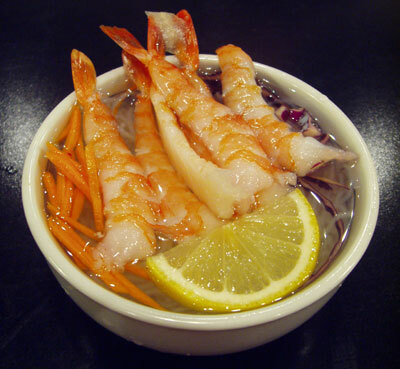 Ebi Sunomono Salad is a cold salad made with vermicelli noodles, a tangy sweet broth, slices of red cabbage and carrots, and lots of shrimp on top. 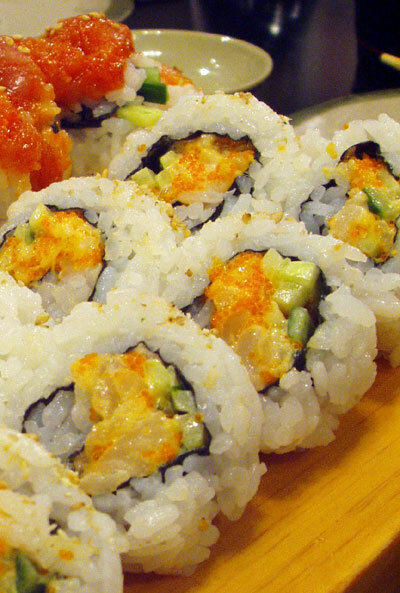 Chopped Scallop Roll is one of my favorites. You are currently browsing the Dine Out Here Vancouver weblog archives for December, 2006.